With new Nike SFB Mountain collaborations poised to release soon, UNDERCOVER has given a first look at its latest release with Converse. The collaborative pack sees the classic Converse Chuck 70 reworked into two colorways — off-white or black — both of which feature a double lacing system and a zip fastening up the middle of the upper. 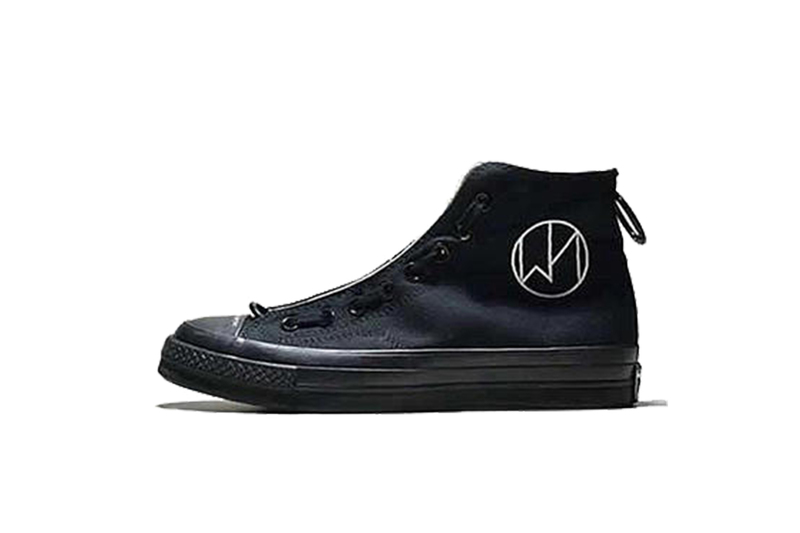 Other features of the sneaker include a contrasting “The New Warriors” logo on the lateral side of each shoe, as well as a large metal ring towards the toe. Take a first look at the latest from UNDERCOVER and Converse in the gallery above, and expect the collaboration to hit retailers including HBX on March 16. For more from UNDERCOVER, take a look at the label’s Fall/Winter 2019 womenswear collection. Pushing the boat out on bold color combinations. Removing the contactless transaction limit. Featuring work from TAKAHIROMIYASHITATheSoloist and Sasquatchfabrix.